The platform WeChat (Weixin微信in Chinese) was released in January 2011 by Tencent Holdings Limited in China. This smartphone application has several features such as instant messaging, voice/video calls and audio message services. 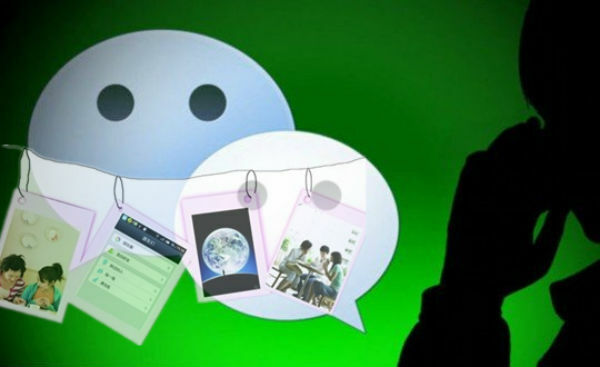 WeChat is the number one instant messaging app in China. It provides a platform where users can share pictures, videos (WeChat Sights) called WeChat Moments (much like Facebook’s Timeline). The app also provides many location-based services such as food delivery, online taxy hailing (like Didi/Uber). It also comes with a WeChat Wallet that users can link to their Chinese bank account. The Wallet system enables WeChat users to pay in thousands of shops, restaurants and for services all across China with their smartphone using either the QR code system or the WeChat Pay system, or even WeChat red envelopes (Hongbao). For professionals, WeChat offers a place to advertise products and/or services using a follower system. The Official Account system allows users to register in order to push content to subscribers and provide them with various services. WeChat is considered as one of the major online advertising platforms in China along with Baidu and Weibo. For companies whether they are from foreign countries or mainland China, the potential of this cross-platform tool is truly extraordinary. The figures below regarding its huge potential and its growth will prove this to be so. Since its launch in 2011, WeChat has over 1.1 billion registered accounts, 732 million users, 570 million of which use it on a daily basis. The Chinese people have the tendency to use their phones for several purposes, ranging from paying in stores, transferring money, playing mobile games, booking taxis & tickets, chatting, sharing, to purchasing products. 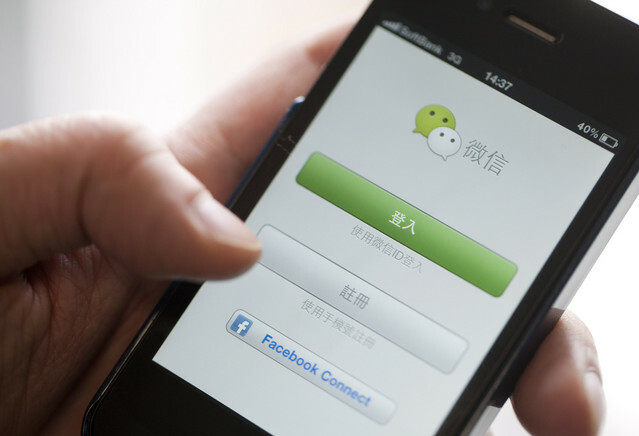 WeChat data shows that over 639 million users access the platform through their phone. 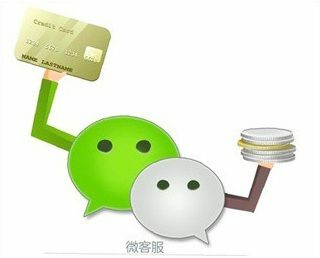 More than 200 million users have their credit card linked to their WeChat account and over 83% of the WeChat users purchase online products through the platform. These figures really display the importance of WeChat in the Chinese market and increasingly overseas. 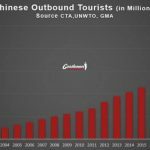 The Chinese market is currently going through significant transformation, the new technologies have led marketing practices into another era. The traditional brick-and-mortar shops are gradually declining with Chinese consumers less interested in physical retail. The latest generations are becoming internet experts and high-tech-savvy consumers, their purchasing habits are shifting towards more efficient and convenient processes. The use of ones smartphone to purchase any kind of product online has been growing rapidly in recent years, particularly with crowded and congested urban areas in China dissuading high street shoppers. WeChat requires any business to have at least 100,000 followers in order to start advertising on the platform. 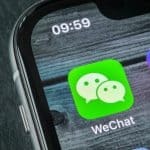 WeChat has over 10,000 active advertisers and over 1,000 publishers and is connected to more than 67,000 different apps. We will talk about professional solutions on WeChat later on in the article. WeChat offers a vast array of business solutions for brands whether they are foreign or local. Brands that are willing to develop their business in China need to using at least one of the two Chinese major platforms, Weibo or WeChat. They would be required to register for an official account and have it verified. A verified WeChat account allows you to promote your services, and/or products through high-quality content such as videos, pictures, audio messages and text that your followers can access and share. A good way to promote your brand and increase your number of followers is to make use of the QR Code system. 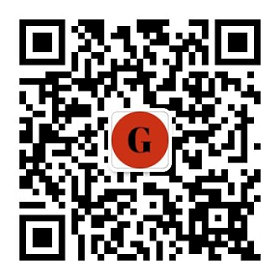 Start by adding your brand QR Code to your packaging, on your Weibo page or simply on your official website (preferably in Chinese, hosted in China and referenced on Baidu, visit this link for further details). Combining this with wall posts and active promotions will prove to be an effective marketing strategy. Displaying your brand logo on the subscriber’s personal pages is another way to improve your image. This enables official brand followers to show off their personal tastes and preferences, you can also choose to showcase your logo or not. You can draw attention from followers by using WeChat’s API (Download it here!). The WeChat’s API allows you to integrate the services into mobile apps. Remember that followers should be given motivation to sign up. It would be wise to offer them prizes, promotions and engaging content such as pictures or entertainment services. WeChat has other business centered features like setting up a mini website to complete your brand experience. This mini website can be divided into two-level menus that can used for marketing purposes. These two-level interacting menus are essential tools to better manage interaction with your fans. You can set this up on the WeChat account panel or with the help of third-party services. Remember that WeChat enables you to geo-target your community and create categories of fans according to their gender and location. A powerful way to advertise your brand on WeChat is to register and pay for WeChat Moments Ads (which is now open to all brands). For example, a company chooses to use WeChat Moments Ads, it creates a scheme for advertising on personal WeChat Moments. In Shanghai and Beijing, they influence 500 individual accounts, each of them has at least 500 friends. The price for posting on individual’s moments rangers from 10 RMB ($1.5 USD) to 400 RMB ($60) per post. Advertising through this process can reach over 250,000 WeChat users (500 x 500). Although this system is manual. Tencent offers a much more sophisticated way to reach target clientele. 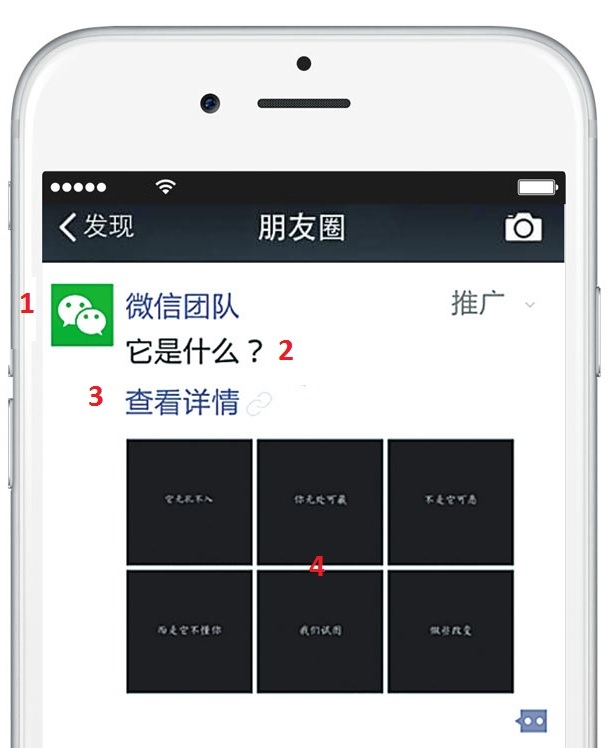 Below is what WeChat Moments Advertising looks like on a common smartphone. Your brand name and the profile picture. Ad description up to 40 characters. Link to a html5 webpage hosted on a Tencent server. WeChat Moments Advertising has three city specific categories. The first one is Beijing and Shanghai, the second one is the 35 first tier 1 and tier 2 cities (like provincial capitals), and non-specific cities. You can choose to advertise to 17 industries: education, travel, finance, car, real-estate, home product, clothing, food&beverages, life-style service, business, service, beauty product, internet/IT, sport, medical healthy, pregnancy product and games. The cost depends on the location, CPM (cost per 1,000 view) for non-specific location ads 40RMB ($6 USD) CPM for users in Beijing & Shanghai 140RMB ($21), CPM for users in the 35 tier 1 and tier 2 cities 90RMB ($13.5). The minimal entry price for the WeChat Moments Advertising service is 200,000RMB ($30,000). 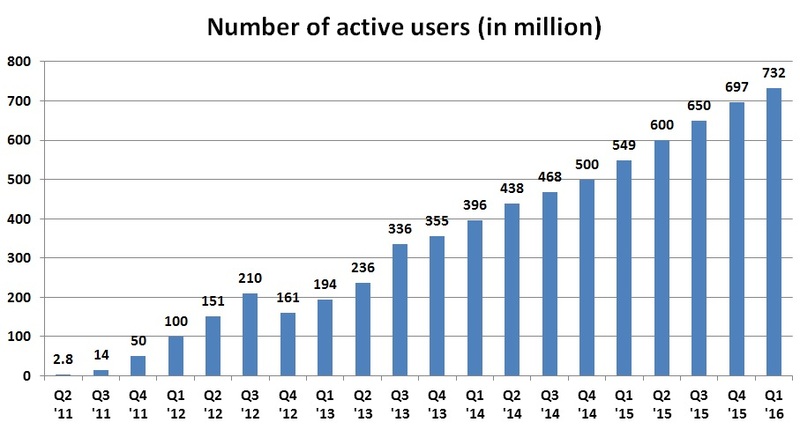 From its launch in Q1 2011, WeChat went from 2.8 million active users in Q2 2011 to over 732 million in Q1 2016, see chart below. 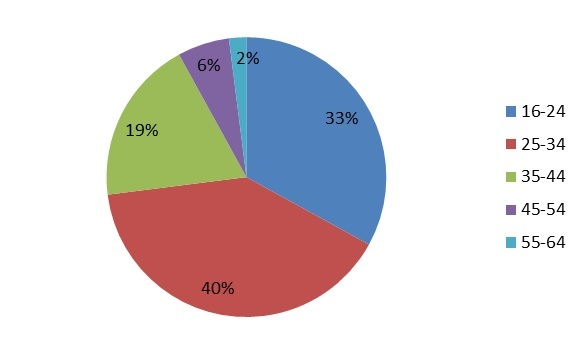 WeChat is mainly used on smartphones, the major part of the active users are aged between 16 and 35, see piechart below. We should add that over 83% of WeChat active users are purchasing online, so these previous figures give you some insight on how important this platform is and what clientele should be prioritized. We will now focus on several luxury brands that have used this tool. Digital benchmarking research firm L2inc. issue indepth reports on a regular basis. One of their latest indicated that around 92% of international luxury brands are already on WeChat, this is a strong increase of 87% year-over-year. 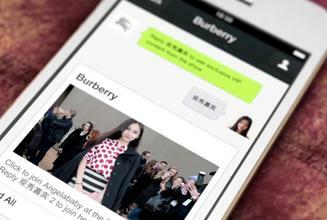 The vast array of WeChat online features seem to really appeal to foreign brands. We will provide examples of famous international brands and how they are using WeChat to promote their services/products. 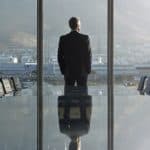 This may give you a good insight into what strategy is relevant on this Chinese platform. We will start off with the most digitally savvy fashion London brand, Burberry. The Burberry Group Inc. is well-known for its several digital partnerships, using different platforms to market its products. Among them we can find Snapchat Discover, Apple Music, Instagram and WeChat. On the Tencent owned platform, Burberry has its own news feed, informing its customers about new arrivals, latest trends, and various other links that lead them back to the brand’s official website. The British firm also made use of its WeChat official account so that their followers can learn stories about Burberry’s Heritage Trench Coat and have a 360-degree view of Burberry’s catwalk extravaganza in 2014. This live performance was marking the grand opening of Burberry’s fourth flagship store in Shanghai (its largest in Asia). WeChat is also used as a customer service platform by the brand with a fast response to queries. Burberry also seems to be knowledgeable regarding Chinese culture, the brand ran WeChat campaigns during local festivals. From January 6th and January 19th 2016, Burberry proposed a collection of gifts for the Chinese New Year (February 8th in 2016). Whereas Burberry mainly uses WeChat for content marketing and customer service, Coach focuses on product promotion and loyalty programs. According to research carried out by L2inc, only 17% of fashion and 16% of watches and jewelry brands have integrated loyalty programs on WeChat. As soon as a WeChat user follows the Coach official account, the brand pushes them to become a member by entering their phone number for a chance to win a Coach handbag. Coach has a dedicated section for members where they manage their membership cards and unlock exclusive offers. Aside from the loyalty programs, Coach’s followers are redirected to the brand official website through “Discover Stores” and they are provided with a map to help them locate the nearest store. As of June 2015, Coach operates over 500 locations across Japan, China, Korea, Taiwan, Malaysia and Singapore. Coach cleverly linked its official website to its Weibo and WeChat accounts and pages. Coach marketing strategies on WeChat are well thought out. For Mother’s Day 2015, Coach ran a campaign called “#MyFirstCoach” as a reminder that mothers were their daughters’ first coach. Users on Weibo who uploaded pictures of them with their mothers had a chance to be featured on Coach’s homepage and win a Coach wristlet. 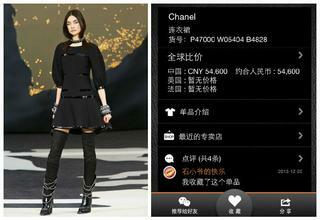 French beauty product and clothing brand Chanel also uses WeChat as a content-marketing platform. Although Chanel does not run a service account like Burberry and Coach, Chanel instead uses the “Subscription” WeChat account. The WeChat Subscription account allows a brand to post content more frequently, but mobile commerce features are limited. With a Subscription account, Chanel is able to create a few mini-sites to provide its followers with product information, brand history, fashion tests, events, make-up tips and company news. 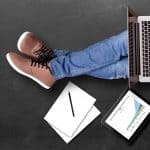 This content can be in the form of both text-based articles and video content. In doing so, the French brand is engaging with its WeChat followers without using third-party apps. 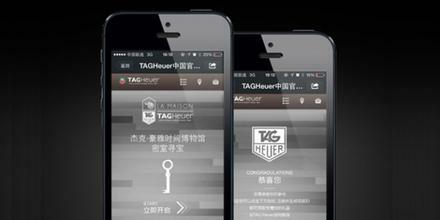 The Swiss watchmaker TAG Heuer created an O2O campaign on WeChat. The campaign was named “La Maison” and featured an interactive traveling exhibition. Through its WeChat official account, the company invites Chinese users to interact with the exhibition and learn more about TAG Heuer’s history in the form of a treasure hunt. The campaign started in Kuala Lumpur and moved to Shanghai, Beijing and lastly in Hong Kong. The Swiss watch brand also used QR codes cleverly turning the offline experience into a digital treasure hunt. The brand WeChat account served as a guide throughout the exhibition and provided “keys” to visitors in order to unlock checkpoints. With this campaign, TAG Heuer truly created an innovative marketing strategy, providing its users with a rich interactive experience while bringing them through its brand’s 154 years of history. LVHM owned French brand Sephora made use of the loyalty programs offered by WeChat. This tool allows companies to send discounts, promotions, points and even rewards. 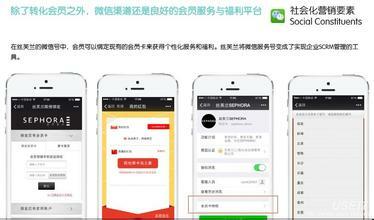 Sephora has created a page dedicated to its loyal customers on the brand’s WeChat mini-website. Users can check their points balance and benefits, update their personal details not to miss out on special offers and latest news, all within the app. This WeChat marketing strategy chosen by Sephora lead fans to the official Sephora account and give them reasons to go back for the latest news and new things. Spain clothing brand Zara has a WeChat service account. Zara has created a micro-site under the navigation bar to provide original content to users, including a cleverly made store locator page. The Zephora store locator feature is only available once the user has shared their location. Then the brand indicates the nearest stores from the current user location. WeChat LBS (location-based service) is one of the most useful features of WeChat for retailers, it also allows chain stores to send messages automatically such as latest promotions to the followers that are close to a store. Swedish clothing brand H&M also makes use of WeChat service account to showcase its products to consumers through an in-app store. Storeowners can then upload products, process orders, and manage customer relationship. This smart strategy allows H&M customers to shop without WeChat, they also can use the app as a billing system to checkout through a one-step payment. Doing so, H&M enhanced the user experience making browsing and shopping quite convenient for users. WeChat fashion shops like H&M has, can be developed into your WeChat micro-app or set-up on third party services like Weidian (the WeChat shop, equivalent of Amazon or Alibaba’s Taobao). French conglomerate LVHM Louis Vuitton Moët Hennessy uses the Message API featured on the WeChat official account to create a quality customer service. Louis Vuitton is using this feature to provide customer assistance, they have set up a welcome message, automated responses based on keywords in order to anticipate customer’s need and enquiries. The LVMH WeChat customer service is open daily from 10am to 7:30pm. As seen previously, the major international luxury brands are using WeChat and are making use (in the most part) of its great marketing features. Although there is still room for improvement, and the enhancement of user experience. Once again, the number of luxury brands on WeChat has grown by 87% over the past two years, still companies still have a long way to go to reach Chinese consumers in the most effective way. According to L2inc in-depth research, too few luxury brands are taking full advantage of all WeChat’s official account features, including push notifications, geolocation capabilities, ecommerce, and customer service functions. L2inc reports showed that only 77% of the luxury brands opt for feature-friendly service accounts. Less than 10% of luxury brands in both fashion and watches/jewelry categories have links to online retailers or WeChat Pay. Customer service seemed to be equally lacking for most of these brands. 66% of fashion brands and 65% of watch brands have auto-reply systems when a follower ask a questions. Only 13% of fashion brands have set up a manual reply feature for their customer services on WeChat. Location-based service (or geolocation) for custom notifications and store locators are only employed by 53% of fashion brands and 42% of watch/jewelry brands. This feature has great potential, the companies using this WeChat feature could reach Chinese consumers when they are abroad visiting a country and shopping. Only 15% of fashion brands, and 10% of watch/jewelry brands opt to use the international geolocation feature on WeChat. Tencent Holdings Ltd. is the fourth biggest internet company in China. It owns WeChat instant messaging platform, instant messenger QQ. As of April 2015, Tencent’s market value exceeds $ 205 billion. Facebook is censored in China since July 2009. 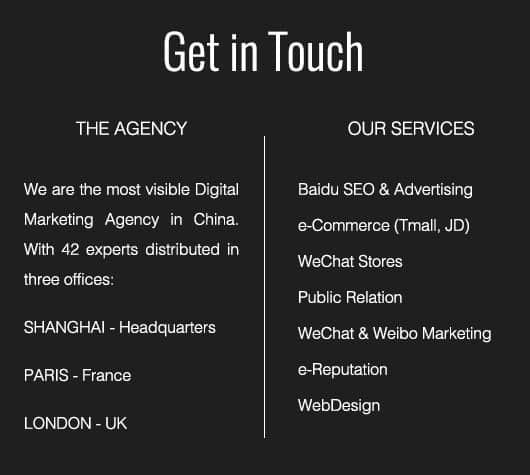 We are a Wechat Marketing Agency Based in China. See our case studies on our website.